The partnership will expand energy access—and tech companies’ connectivity efforts. Facebook and Microsoft have joined with investment firm Allotrope Partners to launch a "first-of-its-kind" finance facility to catalyze investments in renewable energy microgrids in underserved communities around the globe. The Microgrid Investment Accelerator (MIA) will mobilize roughly $50 million between 2018 and 2020 to expand energy access in parts of India, Indonesia and East Africa. The facility was launched yesterday at the U.N. Sustainable Energy For All Forum. “MIA will test the commercial opportunity for microgrids and demonstrate how concessionary finance can unlock progressively larger proportions of private capital as risks are discovered, priced and mitigated," said Alexia Kelly, CEO of the new MIA facility, in a statement. Access to affordable financing has been a major barrier to the deployment of microgrid solutions, particularly in frontier markets. A handful of startups have been forging ahead, but with limited funds and relatively small projects. The MIA plans to accelerate the microgrid market through an "ecosystem approach to finance" that leverages grants and loans from foundations and development institutions to attract private-sector capital. "MIA will directly deploy risk-tolerant project and corporate debt and equity, both independently and with co-investment partners," according to a statement. Rigorous data collection and analysis will help to prove the commercial business case for microgrid investments and findings will be made public to inform the broader investment community. Founding partners Facebook, Microsoft and California-based Allotrope have joined with more than a dozen implementing partners and observers to form the MIA. Other participants include cKers Finance in India, CrossBoundary Energy in Africa, California Clean Energy Fund (CalCEF), Electric Capital Management, Morrison & Foerster LLP and GivePower. The MIA is expected to accept pilot project applications in the third quarter of this year, and to begin distributing funds to selected projects next year. The scope of the energy-access challenge is immense. The new 2017 Global Tracking Framework report, co-led by the IEA and World Bank, shows that while hundreds of millions of people gained access to clean cooking, electricity and renewable energy between 2012 and 2014, more than 1 billion people -- one of every seven people on the planet -- still live without access to power. The world is not on track to meeting the 2030 U.N. Sustainable Development Goals (SDGs), which include universal access to modern energy services, doubling energy-efficiency improvements and doubling the share of renewable energy in the global energy mix. The International Renewable Energy Agency estimates off-grid solutions, such as microgrids, will supply 50 percent to 60 percent of the new generation needed to achieve the universal electricity access goal by 2030. On the first day of the SEforALL Forum, European utility Enel signed an agreement to launch the SEforALL Electrification Accelerator, as well as committing to support SEforALL and the Secretary General of the United Nations in meeting seven SDGs related to energy access. Enel agreed to offer its expertise in crafting a development plan for electrification through the digitalization of mini networks, mini-grids and electric mobility. 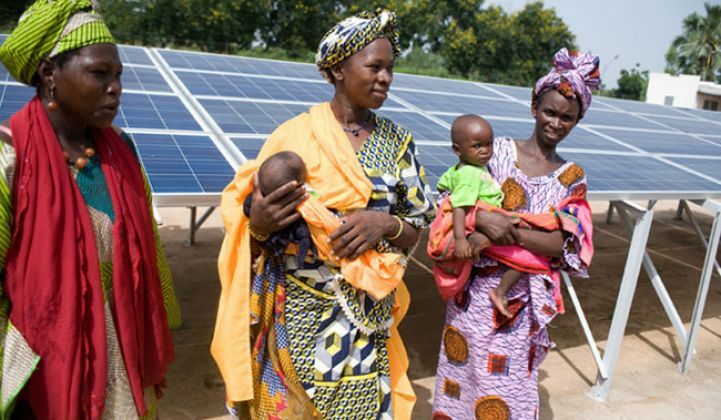 While expanding energy access provides significant social, economic and health benefits for affected communities, it also represents a meaningful business opportunity. That's not only true for the companies angling build clean energy projects, but also for technology providers looking sell products and services in new markets. Improving access to modern electricity systems could open up a multibillion-dollar market for appliances and for social networks.